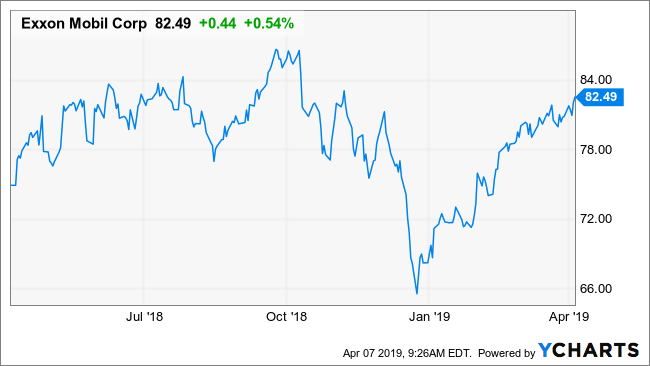 Exxon Mobil Corp. (XOM), has seen its stock soar in 2019 by 21%, easily outpacing the S&P 500’s rise of 15.3%. The surge has come as a result of oil’s big rebound, following its steep sell-off at the end of 2018. The outlook for the company is bleak, making the certainty of the recent rally unclear. What is not unclear is that institutions were dumping the stock in the fourth quarter at a pace of nearly 2 to 1, though the dumping of the shares may have merely been a knee-jerk reaction to a market in turmoil. During the fourth quarter, the total number of 13F shares held by institutions increased by 2.6% to 2.315 billion shares. However, the number of institutions selling the stock far outpaced the ones buying it. During the quarter, 236 institutions created new positions while 739 were adding to them. On the flipside, 103 liquated their holdings while a stunning 1,292 were reducing them. However, it is worth noting that the increase in total shares held could suggest that the buyers, although fewer, were buying more prominent positions in the stock. Still, analysts do not forecast a good year for the oil giant. Earnings are estimated to drop by over 10% to $4.42 per share, while revenue is expected to drop by 4% to $278.7 billion. Those estimates had fallen sharply since November, when revenue estimates were for $340 billion, while earnings were estimated at roughly $5.90. The only thing one can ascertain from the current earnings and revenue estimates is the tremendous amount of uncertainty in Exxon’s future. That is likely driven by what has become a very highly volatile oil market, that has seen massive ups and downs in recent years. It makes trying to forecast Exxon’s results incredibly hard to do. With a less than steady outlook, one can see why so many investors were reducing their stakes in the stocks. If there is one thing that the investors hate more than anything, it’s an unpredictable outlook. What does seem clear is that Exxon’s outlook is very uncertain. 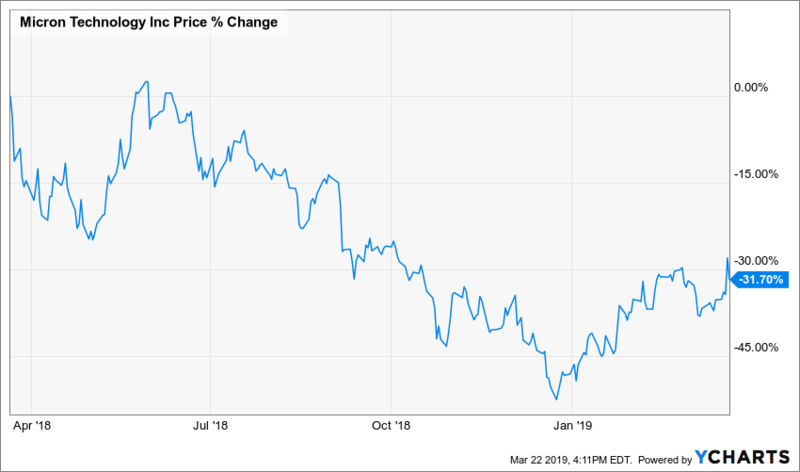 Micron Technology, Inc.’s (MU) stock plunged by roughly 50% from its May 2018 high of roughly $62 to a December low of $29. Thus far, 2019 has been a better year, with the stock rising by 32%. However, the equity saw some very notable investors significantly reduce their holdings in the fourth quarter of 2018. Part of the reason for the stocks improved performance in 2019 has come on the promise and hopes of an improving DRAM market. Prices for DRAM, dynamic random-access memory chips used in everything from personal computers to wireless phones, have fallen sharply over the past several months. However, the company has indicated in past conference calls that it expects the prices for memory chips to rebound in the second half of 2019. During the fourth quarter, Appaloosa LP, which is run by the famous investor David Tepper, dumped nearly 20 million shares, reducing its stake to 16 million. Even with the massive reduction in its holdings, the stock is still by far the fund’s most significant position valued at $507 million. Janus Henderson Group Plc. was a big seller of Micron in the fourth quarter as well. The firm dumped nearly 60% of its holdings, bringing the total shares held down to 3.6 million shares. Overall, hedge funds were a net seller of Micron during the fourth quarter. The number of total 13F shares held by hedge funds fell by 6% to 97.3 million. 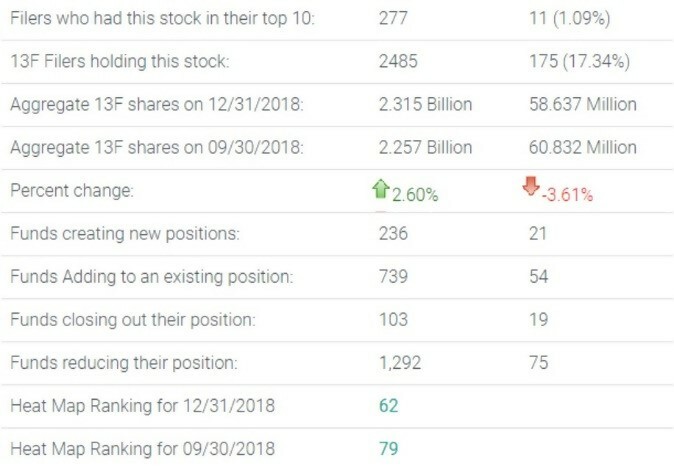 In total, 19 funds created new positions in the stock, while 42 added to their existing positions. Additionally, 26 funds closed out their positions, while 32 reduced their stakes. Overall, the total number of total 13F shares held by institutions remained relatively unchanged. The outlook for Micron is bleak, based upon analysts’ estimates. 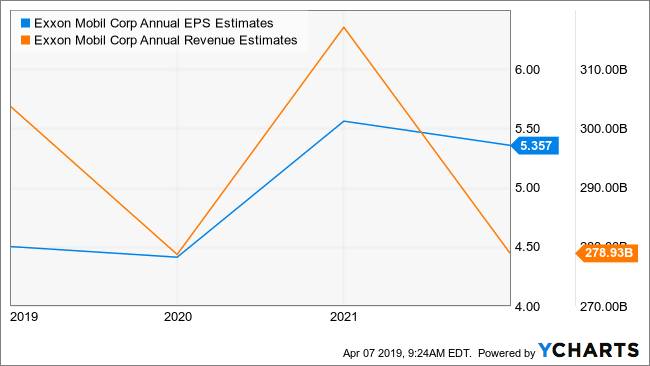 Currently, revenue for the company is seen declining 8% in 2019 to $23.7 billion, while earnings are expected to fall by 46% to $6.42 per share. The outlook for 2020 is expected to be even worse with revenue declining by an additional 5% to $22.6 billion. Earnings are also expected to fall in 2020 by 23% further to $4.96 per share. Based on the current revenue and earnings estimates, perhaps Janus Henderson’s and Appaloosa’s sales during the fourth quarter where likely the prudent thing to do. The question that many investors are still wondering about is whether the company can deliver on a better second half in 2019 or if the outlook continues to look dire. If the second half does not show the improvement investors are hoping for, the stock is likely to head back to its 2018 lows. 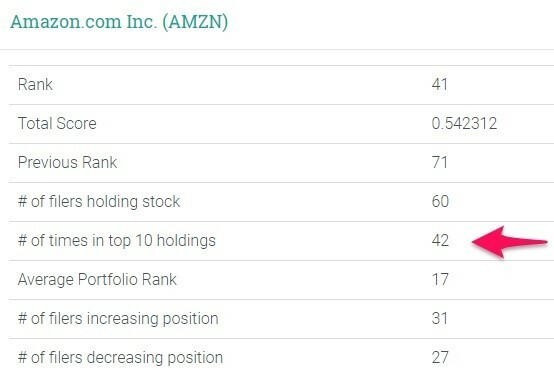 The shares of Amazon.com Inc. (AMZN) have been range bound for months. What may be most surprising is that Amazon’s stock is still 17% off its September highs, despite a broader market recovery. 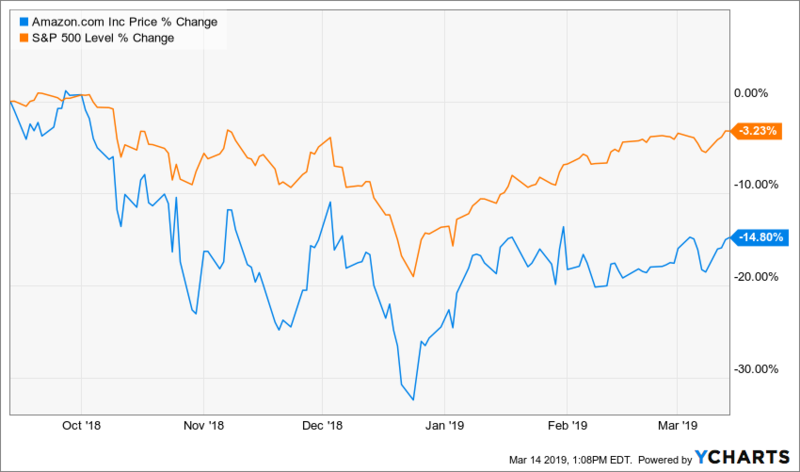 However, Amazon’s stock has increased more than 26% off its December 24, 2018 lows, despite the S&P 500’s climb of 20%; this is an indication of just how deeply Amazon’s stock has fallen over the past six months. Investors were aggressively buying shares of Amazon during the fourth quarter, that is for sure. According to data from WhaleWisdom, the number of institutions buying shares of the e-commerce company increased by 1,216, versus 796 that were selling, a ratio of more than 1.5 to 1. 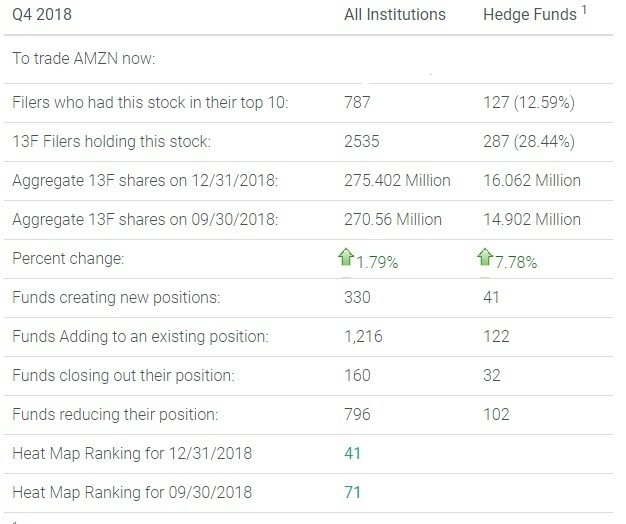 Even some of the most prominent hedge funds aggressively bought Amazon during the fourth quarter. 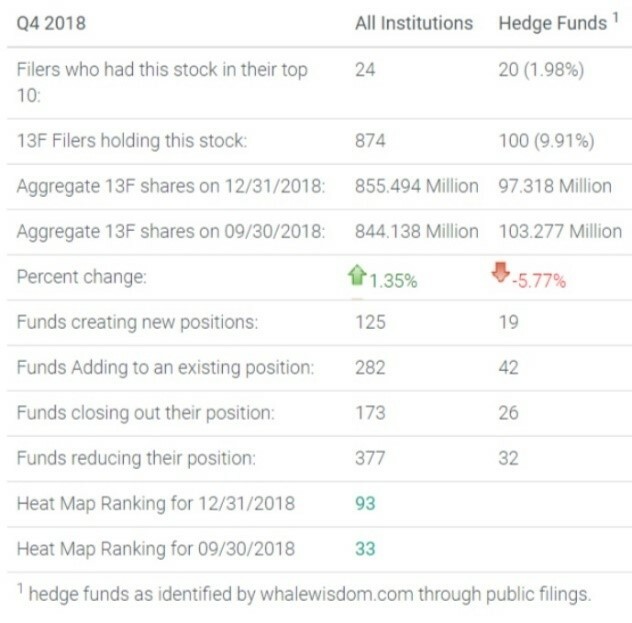 The stock ranking on the WhaleWisdom Heat Map improved to 41 from 71 in the third quarter. 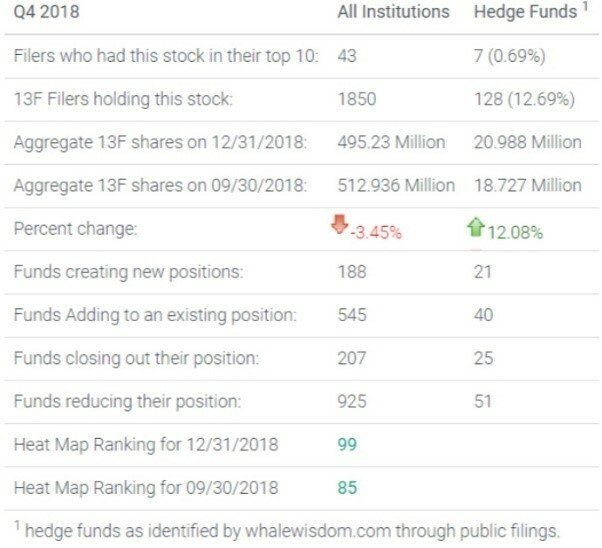 Of the 150 hedge funds that WhaleWisdom tracks for the Heap Map, 42 of them have the stock as a top 10 holding. Additionally, 31 of the 150 were adding to their positions, while 27 were reducing their positions. 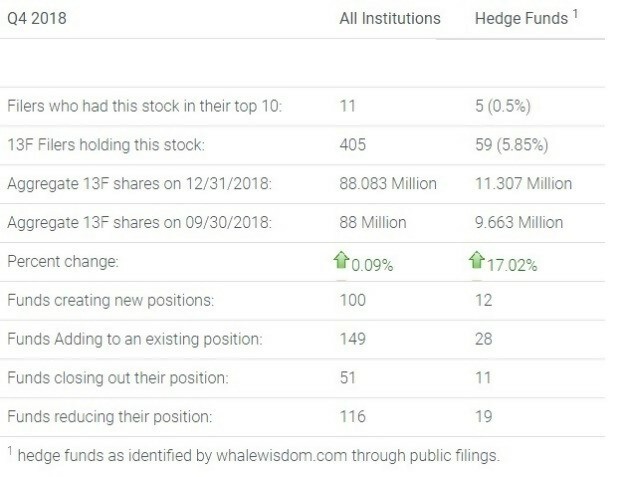 Overall, all hedge funds in aggregate were buying up the stock, with the number of total 13F shares held increasing by almost 8% to approximately 16.1 million shares. In total 163 funds either added to or initiated new positions. That is against only 134 funds that liquidated or reduced their shares. One reason why investors likely jumped all over the stock as it plunged was due to the significant promise of growth in the future. 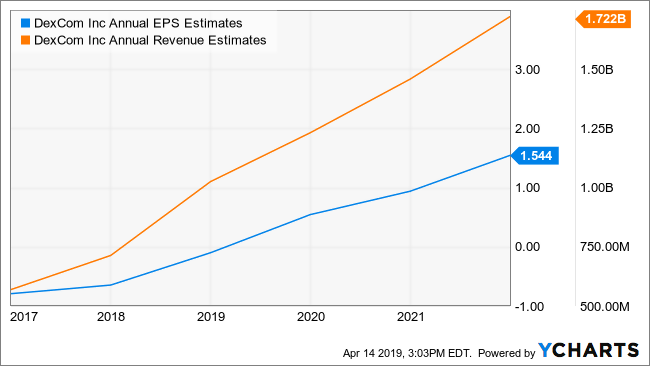 Analysts’ consensus estimates project revenue to grow at a compounded annual growth rate (CAGR) of 17% through the year 2020 to almost $375 billion from $232.9 billion in 2018. 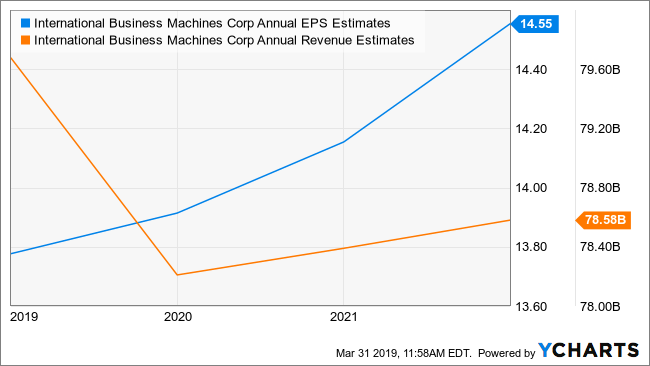 Additionally, analysts estimate that earnings will grow even faster, at a CAGR of almost 42% to $57.36 per share in 2021 from $20.14 in 2018, nearly tripling. Analysts are also very bullish on the stock with an average price target of roughly $2,126.63, nearly 17% higher than the current price of around $1,700. Of the 46 analysts that cover Amazon, 98% of them rate it a buy or outperform. There is only one analyst that currently rates the stock a hold. 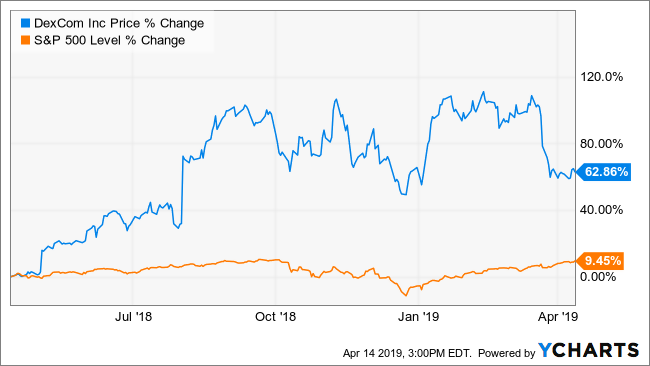 While the growth outlook for the company looks bright, the valuation for Amazon has been a source of contention among investors, with the shares trading at nearly 43 times 2020 earnings estimates of $39.48. Despite still being well off its highs, if the current growth projections for Amazon remains, it is hard to deny the outlook for the company is spectacular. It is likely a good reason why investors were buying the stock hand over fist during the fourth quarter slide.